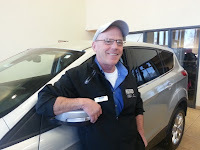 Just call him “Hutch”This month we recognize sales consultant, John “Hutch” Hutchinson for his drive to succeed and passion for the automotive industry. Hutch joined the Heiser family 25 years ago and is relied upon like a seasoned veteran.His mantra of Work Hard & Be Positive sets an example for others and is truly appreciated by the customers he serves. Hutch’s success is drawn from his caring and laid-back nature.He enjoys meeting people and feels great when he can help them get the perfect vehicle for their needs. 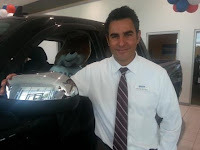 Regardless of the situation, Hutch’s goal is to get the best possible vehicle to fit a customer’s budget. Clients and coworkers often comment on the detailed attention he delivers: “Hutch treats everyone with the utmost respect, providing information quickly, which is what they appreciate,” says General Manager, Chris Meyer. 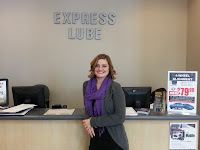 Samantha enjoys the direct contact she has with Heiser Toyota’s service customers. Many feel confident about the work we do because of the care she takes in explaining the recommended work.In the 5 months she has been in her position, Samantha has become a favorite and developed a regular base of returning customers.